As high as the clouds - Discover Rio & Learn Portuguese, RioLIVE! 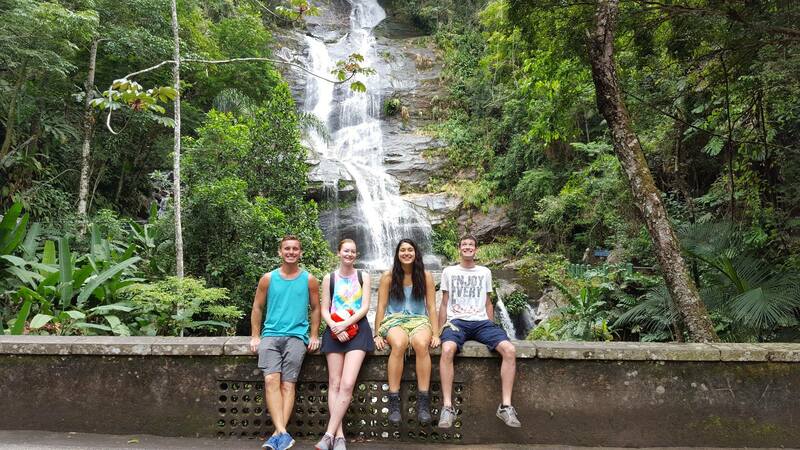 It was my first day out with the group from school, Igor took us out on a amazing trip/hike in the tijuca mountains, the sights were amazing, the hike was enjoyable and fun. Igor kept the trip engaging, we were only allowed to speak portuguese, which was challenging but fun, I hope to do more of these activities. Practicing Portuguese at Cascatinha Taunay. Last Saturday we spend the day hiking at Floresta da Tijuca. We learned about nature, history and most importantly, we practiced a lot of Portuguese. The views from Vista Chinesa and Mesa do Imperador were astonishing, but the forest hadn’t shown us everything yet. 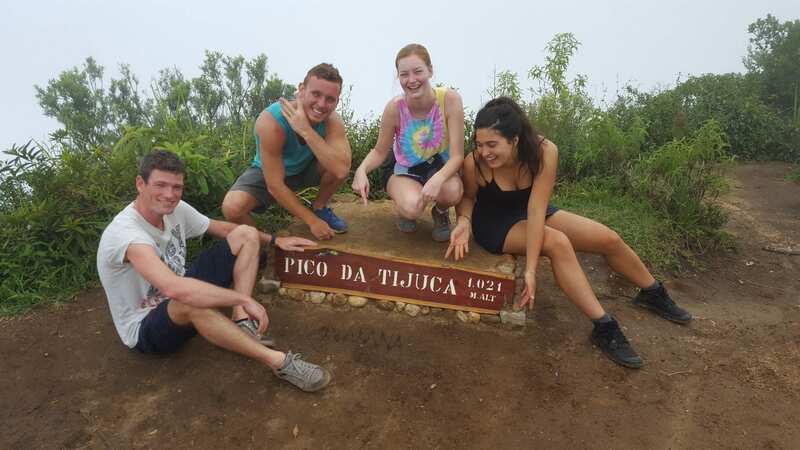 We stopped for a picnic before the last hike and after we got our energies filled we faced Pico da Tijuca hiking track. When we got to the top, we were as high as the clouds. Can you imagine that? 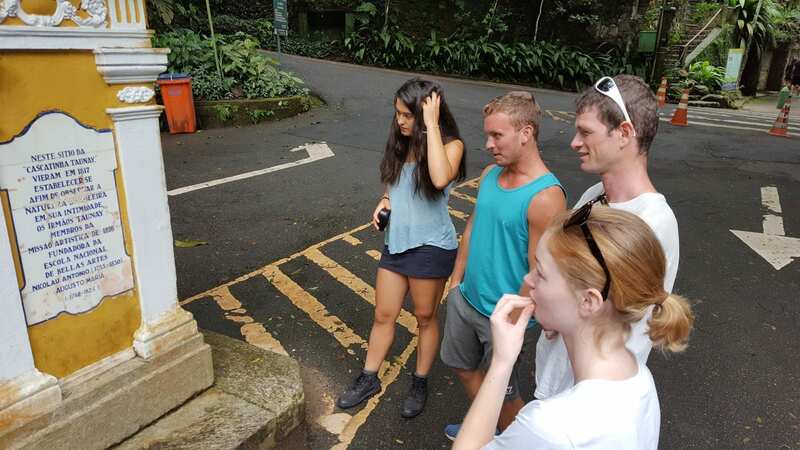 Curious about our tour at Floresta da Tijuca? Take a look at our Facebook!